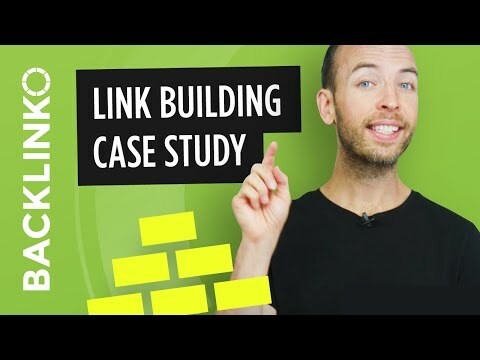 Link Building Case Study: How do you get authority bloggers and journalists to link to your website? Believe it or not, but landing mentions of backlinks from popular sites in your industry is easier than you might think. You see Perrin recently launched a site in the dog space called Chewie Says. And he was having a really hard time outranking his competitors on Google’s first page. Does this sound familiar to you? Perrin knew that to have a chance against these big brand competitors he’d have to build high quality backlinks. But as someone with a new site, with literally zero connections, how could Perrin possibly build the backlinks that he needed? Fortunately for Perrin he stumbled on an article on my blog called How to Get Backlinks with Guestographics. After Perrin read about how guestographics helped me increase my search engine traffic, he decided to give it a shot. The result, a 963% boost in organic traffic, in just six weeks. Not to mention an influx of over 1,000 targeted visitors from all those mentions he got around the web. Here’s the exact five step process that Perrin used. Step one, post an infographic on your site. Step two, find sites that write about your infographic’s topic. Step three, show them your infographic. Step four, offer them unique content, also know as the bribe. Step five, get your contextual backlinks. Now it’s time to break down each step in detail for you. Your first step is to create and publish a high quality infographic on your site. Perrin’s infographic was a well designed infographic called 22 Ways Dogs Make Humans Healthier. Okay, so once you have a high quality infographic on your site, it’s time for step number two. Find sites that write about your infographic’s topic. This step is important. If you want people to share your content, they need to see it. This may sound obvious but it’s a step that a lot of people mess up. That’s because the secret to content promotion and outreach is finding the right people. In fact, because Perrin focused on reaching out to the right people he got replies to his outreach like this. Now, I’ll show you the word-for-word email script that Perrin sent to people in a minute. But before you hit send on a single email, it’s important that you find the right people. So, who are the right people? That’s simple, people that already write about your infographic’s topic. Really, that’s it. And how do you find them? A simple Google search. Again, really, that’s it. Let me show you how to do it. Let’s say that you just published an infographic about the paleo diet. You’d simply google key words like paleo diet, paleo diet recipes, what is the paleo diet, et cetera. And Google will show you a list of blogs that tend to cover that topic. Simple, right? Once you have a list of people to reach out to, it’s time for step number three, which is to show these people your infographic. This is one of the reasons that guestographics is so different than how most people promote content online. You see, most people that promote their site with email outreach are way too pushy. But, with guestographics you flip the script. Instead of a pushy email that begs for a link, you ask the person if they wanna see your infographic. This shows that you respect their time and opinion. Here’s the exact email script to send them. Hey name, I was looking for some information on your topic this morning and came across your article, article title. Good stuff, I especially like how you mention something they said in the article. Actually, I just put together an infographic on your topic, let me know if you want to check it out. Thanks, your name. Once you get a reply back from someone that says sure send it over, it’s time to send them your infographic, which is step number four. Here’s another twist that makes guestographics so powerful. Instead of simply showing your infographic to someone and hoping that they share it, you sweeten the deal with a little bribe. Don’t worry, this bribe is totally above board. So, what’s the bribe I’m talking about? A unique introduction to go along with the infographic. You see, when someone wants to share your infographic on their site, there’s a huge barrier that usually stops them. What is it? The fact that they have to write a unique introduction to go along with it. After all, no reputable blogger is going to take your infographic, slap it on their site and call it a day. Their readers expect unique content. That’s why you offer people that show interest in your infographic a unique introduction. Here’s a script to send them. Here you go name, let me know if you ever want to share the infographic on your site, I’ll be happy to write a unique introduction to go along with it. Thanks, your name. And when they get back to you saying sure, I’d love a unique introduction, like this email that Perrin received, whip up a high quality 200-300 word introduction. Now, there are two things you wanna keep in mind with this unique introduction. Thing one, the blogger expects your intro to be great. So make it guest post level quality content. Thing two, make sure you include one link back to your site in the introduction. Here’s an example of how your link should look. I’ll explain why the placement of your link is so important for SEO in a minute. Okay, when your intro is ready send it over to them using this script. I just put the finishing touches on your introduction, attached, let me know if you need anything else. Thanks, your name. Now it’s time for the last step, building contextual backlinks. Unlike most backlinks that you get from infographics, that show up as a source link underneath the image, guestographics result in the type of contextual backlinks that Google values most. That means that the links you get from guestographics are significantly more powerful than if someone just pasted the infographic in a blog post. And as you already saw, guestographics make it significantly more likely that someone will share your infographic in the first place. Did you learn something new from this video? Then make sure to subscribe to my YouTube channel, for more actionable videos just like this one. Click on the button right here to subscribe. Or better yet, head over to backlinko.com and sign up for the newsletter. That’s where I share exclusive marketing tips, strategies and case studies. Now I wanna hear from you. How do you plan on using guestographics to land mentions and links from authority sites in your industry? Leave a comment below right now. Backlinko TV take one, alright. Alright, warmed up. I think the key was to say it slowly. No, take two, Backlinko TV take two. The (mumbles) that’s..
« How can we use SEO for startups in under 10 minutes?